The latest addition to Samsung's Galaxy Note series has just been announced. After much rumors, leaked specs, images and much anticipation, Samsung has officially unveiled the all new Galaxy Note 9. This is currently one of the most powerful Android phone available at the moment in terms of Specs and it also doesn't come cheap at all as it retails for around a thousand dollars. Although the Note 9 looks very similar to it's predecessor, the Note 8. The device features a slightly larger display, a much bigger battery capacity and the fingerprint scanner has also been re positioned just below the dual rear camera setup for easier reach. The new Samsung Galaxy Note 9 sports a larger 6.4-inch Super AMOLED Quad HD+ display with a 2,960 x 1,440 resolution, pixel density of 516 ppi and 18.5:9 screen ratio. The 6.4-inch display on the Note 9 is the biggest flagship screen Samsung has ever put on a phone. The phone also run on Android 8.1 Oreo with Samsung Experience out of the box. 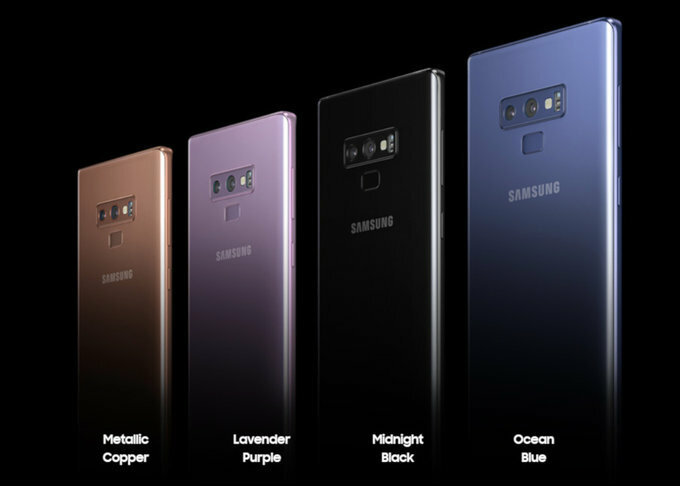 The Note 9 is powered by Qualcomm's Snapdragon 845 chipset for the US version, while the Global version is powered by Samsung's own Exynos 9810 chipset. In terms of memory, the Note 9 is available in two different variants. You can either get the base model Galaxy Note 9 with 6GB of RAM and 128GB of storage, or the more premium model with 512GB of storage and 8GB of RAM. Both model has SD card slot for expandable storage. In terms of camera, The Note 9 features a dual rear camera setup with a primary 12MP with dual-aperture f/1.5-2.4 wide and a secondary 12MP f/2.4 telephoto camera - both optically stabilized and both polished with Samsung's new Intelligent Camera, which will detect scenes, optimize colors and contrast and detect flaws such as a smudgy lens or subject that has closed his eyes. The front facing camera is a 8MP f/1.7 shooter which is the same as on the previous Galaxy Note 8. Samsung has bumped up the battery on the new Note 9 by 20% from the 3,300mAh on the Note 8 to a massive 4,000mAh battery. The Note 9 still retains the IP68 water resistance rating, iris scanner and the rear mounted fingerprint scanner. 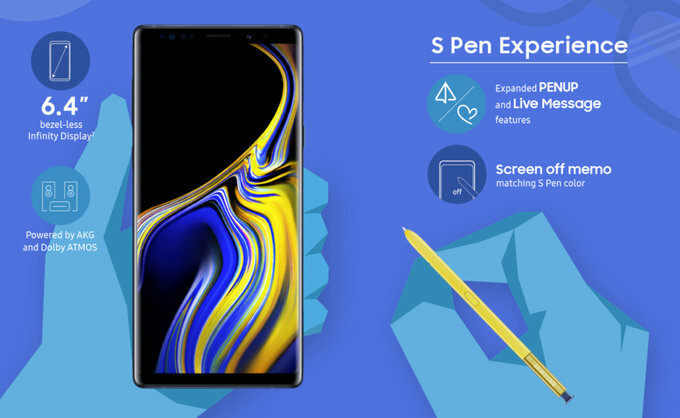 The S Pen has always been one of the major highlight of the Samsung Galaxy Note series and the S pen on the Note 9 can now do more than just E-writing. The S Pen now has Bluetooth support which means you can now use it to control your phone wireless. The S Pen can now do more like unlocking your phone, clicking on it to pause a YouTube video or double-click to skip to the next one, you can use it to activate the camera, control music playback as well as customizing the S Pen to your preference. A quick 40-second charge on the S Pen will give you 30 minutes worth of battery life. The Note 9 is available in four different color options which are ocean blue, lavender purple, metallic copper, and midnight black. 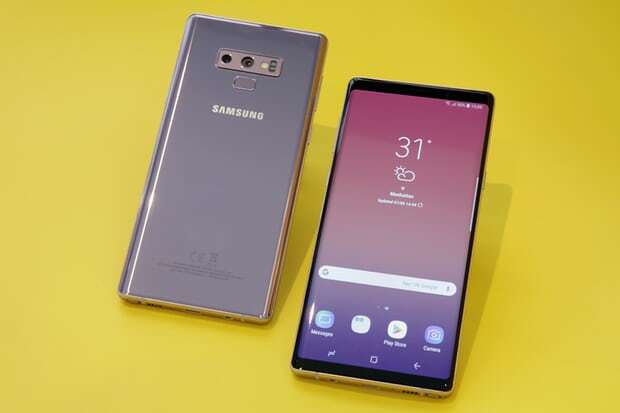 The Price of the Samsung Galaxy Note 9 will officially start at $1,000 (£899, N360,000) for the base 6GB RAM/128GB storage model, while the premium 8GB RAM/512GB storage version will sell for $1,250 (£1,099, N450,000). Pre-orders for the Note 9 starts today Friday, August 10th, and the phone will be available in about two weeks, on Friday, August 24th. The Note 9 will be available on all major US, Europe and global carriers, and the unlocked version will be sold by Samsung.